Dragon Boat Events for charity is an ideal cost effective fund raising activity, requiring no previous experience to take part in, it’s exciting and colourful to which no other fund raising event can compare. Charity revenue gained from events can range between £10,000 to excess of £80,000 depending on the size of event. Our event format has been designed and structured to ensure that charities reap the rewards from holding an event. 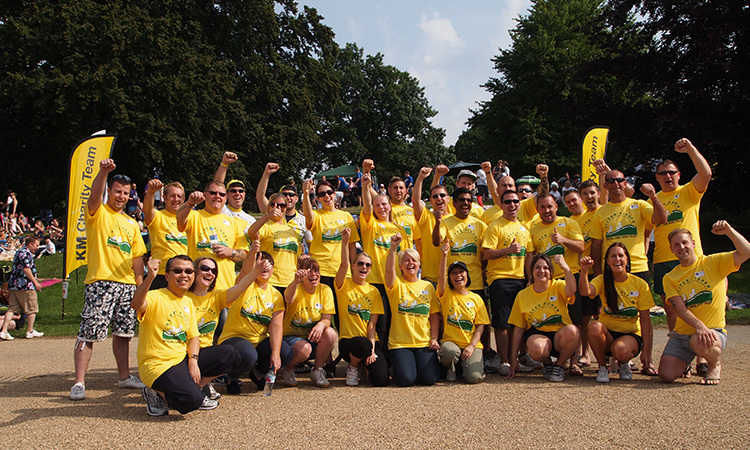 Large and small charities operating locally and nationally can take advantage of the great rewards that Charity Dragon Boat Events brings to great causes. No previous experience of dragon boat racing is required, full training and safety briefings form part of the event experience. Events consist of teams, with the number of team members ranging from 11 – 17 people. Each team has a drummer, to beat a steady rhythm and therefore an odd number is required for one person to be the drummer. In circumstances where there are more than 17 people, the additional team members can register as reserves. Each team has a minimum of 3 races, where they race against other teams over a 200 metre race course. The fastest teams go through to the Grand Final. Chinese Dragon trophies are presented to the 1st, 2nd and 3rd placed teams, the winning team also receives specially designed Dragon Boat medals. Events range in size from 6 teams to 60 teams per a one day event, which is subject to venue suitability. Where there is water, there is an event! Any lake, reservoir, dock, canal, river, sheltered harbour, marina, (subject to venue suitability) with good vehicle access!, recommend venues available nationwide. Comprehensive site surveys are completed. We provide the Dragon Boats, paddles, buoyancy aids, safety boat cover, qualified helms, instructors, safety boat drivers, marshals, timing officials, Competitor safety and technique briefing, Safety protocol wristbands, Professional PA system and full race commentary, traditional Chinese awakening ceremony, event control marquee, race schedule, computerized results, ancillary equipment, authentic Chinese venue decoration, Chinese dragon trophies for 1st, 2nd, 3rd placed teams and specially designed dragon boat medals for the winning team, dedicated online events page, all equipment transportation, event safety management plan, risk assessment, £5m public liability insurance and professional event management. Optional extras include: event photographer, DVD production, boat/event sponsorship & branding service, pontoons, team marquees, refreshment marquees, presentation stage, temporary roadway, crowd control barriers, large event screen displays, furniture, power and distribution, toilets plus much more. In fact, anything needed to make your event go off with a bang! We provide a large and quite diverse range of event infra-structure, which can be utilised in conjunction with dragon boat events. As much as we love to talk about ourselves, we've got a couple of case studies that showcase our amazing results for us. Would you like to Race the Dragon? Whether you’re looking for a team building exercise, a corporate networking opportunity, or have a particular event in mind contact us today to find out more.